by Wilbur F. Eastman, Jr. Preserve your meat properly and enjoy unparalleled flavor when you’re ready to eat it. 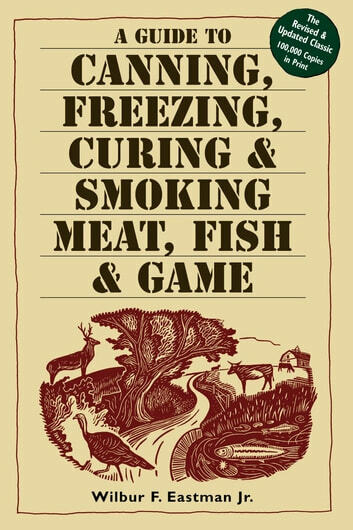 This no-nonsense reference book covers all the major meat preserving techniques and how to best implement them. You’ll learn how to corn beef, pickle tripe, smoke sausage, cure turkey, and much more, all without using harsh chemicals. You’ll soon be frying up delicious homemade bacon for breakfast and packing your travel bag with tender jerky for snack time.